16 is supposed to be the sweetest of all ages. If you know someone who is celebrating his/her 16th birthday, then you must think about giving them a Sweet 16 birthday party for the day.If you are on really short notice and want to get your invitations done very fast, the best option is to go for free online invitation tools which will make your job easier and more economical.You have to take care of a lot of things when you are holding a party for your favorite teenager. The decorations, games, food, drinks and activities for party have to be well planned. You don’t want to feel that you have missed anything important.You also have to decide a theme for the party. The theme of the party must match the likes of the birthday boy or girl. Some of the most common themes for teenager birthday parties would be based on famous movies, comic book characters or sitcoms. The decorations also have to be planned according to the theme of your party. It is best to make your own decorations if you don’t want to spend too much money on them. It is not a sensible idea to buy decorations that can be used just once. You must try to be creative and save the money for other arrangements of the party.The venue is most of the time, your home. If you are planning on a big party, then you probably must book a nice party hall. However, make sure that you don’t spend a fortune to celebrate a Sweet 16 birthday party. The most exciting activities for teenage boys and girls would be music and dance. If you can hire a DJ for the function, it would be great. You could also just get an idea of the best songs that these kids would prefer and play them for the party. You can choose the largest room or the backyard of your home as the dance hall. 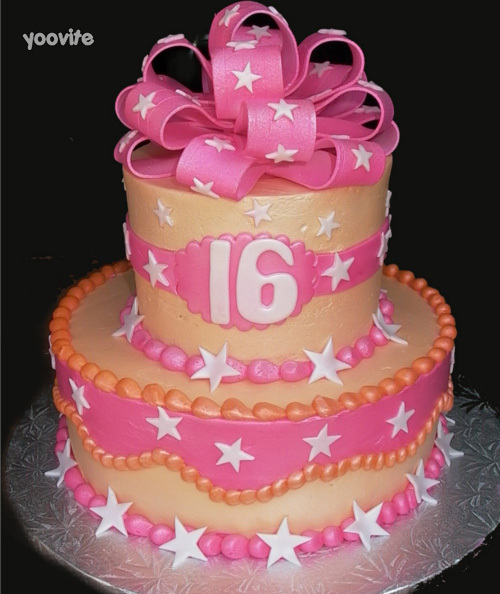 Sweet 16 birthday parties are now common in all major Indian cities like Chennai, Mumbai, Delhi, Pune and Calcutta. Food is a very important aspect that you will have to take care of when you are holding sweet 16 birthday parties. A cake is the most important part of any birthday. The food must be something that suits the tastes of teenagers. Remember, they need to enjoy their party and there is nothing better than some really good food for any party. You must also arrange some cold drinks and fresh juice for the party. You could also make different mock-tails which the young men and women would really enjoy.